It’s been a little over a month since John O’Keefe was killed outside the Brass Rail, walking to the subway from the Duke of Gloucester. While the makeshift memorial outside the Rail is gone now, the man it was for is far from forgotten––by friends, family, or city. 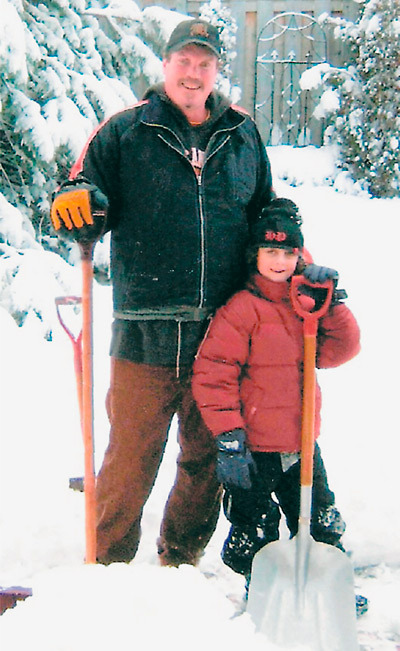 Many of the stories about O’Keefe have told of a dedicated, loving father; indeed, the reason why he left the Duke of Gloucester early––a friend wanted him to stay later––was to get home so that he could take his nine-year-old son Iain out skating the next morning. In an e-mail, Andrew Copland, O’Keefe’s good friend and the Duke’s head bartender, remembers O’Keefe as “a peaceful fun-loving man who loved life, his city, and music.” Fittingly, Copland and a number of O’Keefe’s friends and family are honoring the man by organizing a benefit concert to raise money for an education fund for his son. And you can help. If you are in a band, big or small, or know someone (or know someone who knows someone), please e-mail Sean Daly at [email protected]. Photo of John and Iain O’Keefe courtesy of Sean Daly.